E-cigarettes may be all the rage to help people quit regular cigarettes, but did you know that drinking fresh lime juice is a natural method to stop smoking? Stick with me and I’ll tell you how. My mother’s not alone. Today, nearly one in five people smoke cigarettes. My mom, like many Americans, tried to quit hundreds of times. Sometimes, she quit for two weeks. Other times, it was for more than three months, but the nicotine cravings came crawling back. The latest trend for those trying to quit is “vaping.” Instead of smoking tobacco and nicotine in cigarettes, smokers inhale the vapor from e-cigarettes. The key selling point with e-cigarettes is that they can help smokers quit their dirty habits without incurring the same impairment of inhaling cigarette smoke. Basically, instead of inhaling and exhaling smoke, you’re inhaling and exhaling a vapor that evaporates instantly. You release lower doses of nicotine in vapor form than you do from inhaling smoke from cigarettes. Some of these devices even emit a non-nicotine solution. For example, nicotine in e-cigarettes can range from zero to 36 milligrams per milliliter. How do these things work anyway? Well, e-cigarettes contain a vaporizer that heats up a liquid solution; the vapor is then inhaled and exhaled in the same manner one would smoke a cigarette. E-cigarettes have been on the market since 2007, and although manufacturers say the devices are safe, I’ve come across some evidence contrary to that claim. We are just now learning the downside to these devices. For instance, last summer, University of Southern California researchers have found an excess of other hazardous toxins in e-cigarettes besides nicotine. Scientists found the toxic element chromium that is not in traditional cigarettes. Also, these popular e-cigarettes contain high levels of nickel—four times the amount than what is typically found in regular cigarettes. Wow! E-cigarettes don’t really seem like a good alternative to regular cigarettes after all. What can you do to quit smoking naturally? 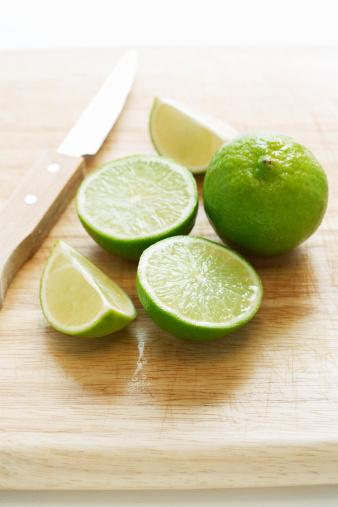 A few years ago, I came across a study suggesting that limes can help people quit smoking. The study included 100 regular smokers who were eager to quit smoking during this six-month trial, and they received either nicotine gum or fresh lime juice. By the end of the study, researchers concluded that fresh lime was an effective smoking cessation method. I know what you’re thinking…if fruit juice could naturally help people quit, wouldn’t everybody be doing it? The problem is that many people still crave that nicotine taste, and that is why e-cigarettes allow people to quit one addiction without realizing they are starting another. The good news about lime is that it is 100% non-toxic (if you use organic limes). The goal here is to reduce toxins, not add to them. Keep in mind that lime is also known to help fight infections. And I’d say that’s a pretty good bonus since cigarette smoking often depletes immunity. For a healthy way to quit smoking, try lime juice; what do you have to lose? “Should we be worried about e-cigarettes?” Medical News Today web site, July 9, 2015; http://www.medicalnewstoday.com/articles/296572.php. Ji, S., “Lime juice and 8 Other Natural Ways to Quit Smoking,” GreenMedInfo web site, Nov. 3, 2013; http://www.greenmedinfo.com/blog/lime-juice-and-8-other-natural-ways-quit-smoking. Rungraunghiranya, S., et al., “Efficacy of fresh lime for smoking cessation,” Journal of the Medical Association of Thailand December 2012; 95 Suppl 12: S76-82.